This ringtone is pretty sweet because I have no musical talent, and I think it came out alright. It's based off a YouTube video that I have talked about on the show before, but I am not going to link it. Sorry. It's not kid friendly. Now, these ringtones are made in m4r format. What does that mean? Well m4r is how any iPhone can play them flawlessly as a ringtone. So just click the Apple button below to start your download and then sync it to your phone. What if you don't have an iPhone? Well we got a lot of requests for an mp3 version of the ringtone. This doesn't make it easy for iPhone users, but hey, if you want an mp3, we got that too. So click on the Android symbol for the mp3 version. If you have a Blackberry, still click on the Droid symbol. Hope this helps, and more importantly, hope you enjoy the ringtone. 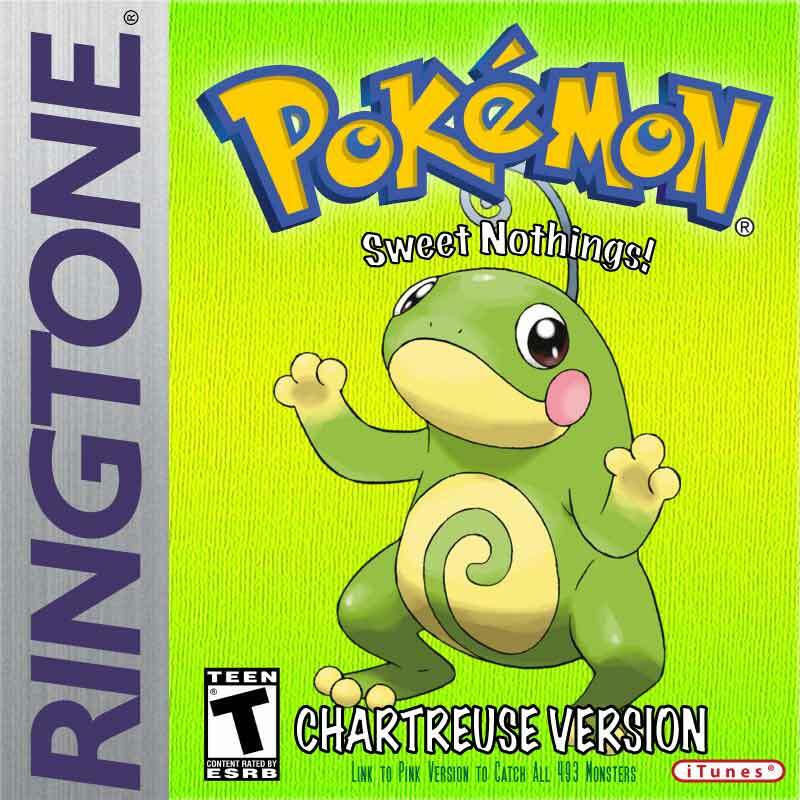 Remember, this is the ONLY place to find sweet Pokémon Ringtones.